Microsoft has bundled Microsoft Dynamics CRM with Office 365 and Power BI. The new combination, which Microsoft has dubbed, Sales Productivity, is available for $65 per user per month. 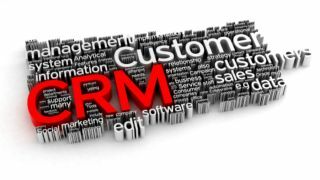 With the bundled service, Microsoft customers receive Outlook, Lync, Skype and Yammer and a full suite of business intelligence tools on top of Microsoft's Dynamics CRM Online solution. Although the three products were already integrated, the new bundling offers a lower price tag that Microsoft claims is "50 percent lower than comparable offerings in the industry," according to a company statement. The launch of Sales Productivity is a direct shot at Salesforce. Speaking to Information Week, Fred Studer, GM of Microsoft Dynamics Product Marketing said, "We love that Salesforce.com recognizes that there's value for their customers in using Office 365, but they have nothing seamlessly integrated at this point…If you're a Salesforce customer and you have [everything included in the bundle], you're probably paying at least $300 per user, per month." As for Salesforce, the CRM giant is less than a week away from Dreamforce, its annual user summit. Earlier this week, Salesforce.com revamped its Sales and Service platforms to offer more advanced mobile functionality. The newly renamed apps, Sales Cloud1 and Service Cloud1, offer sales and service agents the ability to access extensive CRM tools via mobile devices.